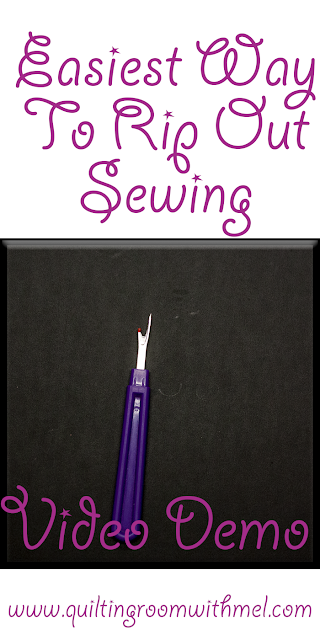 None of us want to do it, we'd all like to pretend we don't have to do it but the reality is we all have to rip out sewing from time to time. There are many different methods for how to ripping out seams but I'm showing you what I think is the easiest way to rip the seam out. I'm also showing you what is technically the correct way to rip out a seam. I will admit I don't have a lot of experience ripping out seams so if I look a little clumsy in the video I am. It has nothing to do with my skills of sewing. My grandmother ripped all my seams out until she passed away. She thought a traditional seam ripper put too much stress on the fabric so she would use a razor blade. I can barely shave my legs without cutting my legs up I shouldn't handle a razor blade. 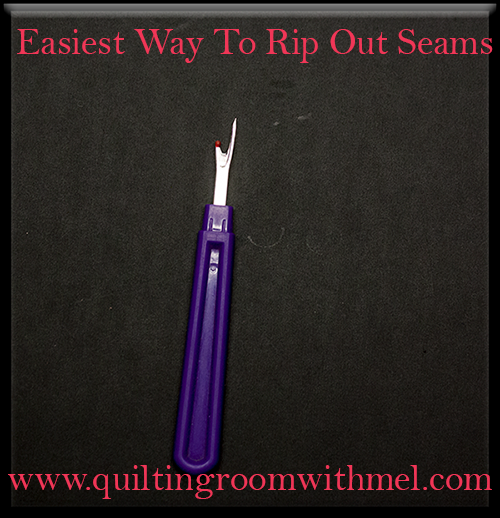 Not only am I going to show you what I find to be the easiest way to rip out a seam I'm also going to show you a great way to get rid of all those little threads left behind. The seam ripper I used in the video is just a cheap one that can be found on Amazon, and Walmart. There are some artisans out there making handcrafted seam rippers. They are really pretty but I can lose a seam ripper in a heart beat so I haven't invested in one. I flip out when I lose a $4.00 one I can't imagine the way I would react if I lost one that cost more than $20. Now if you are interested in using a razor blade like I said my grandmother did but would like a handle I've found a couple that I've been playing around with. There is a bit of a learning curve with them for me anyway. They are both made by Havel's. One is a disposable seam ripper similar to what I have in the video the other one has replaceable blades. This is a great video - can't believe I have been doing it wrong all these years. Your way definitely looks much easier. Thanks for sharing.